Nerello Mascalese – an alternative classic? Nerello Mascalese has the potential to become an ‘alternative classic’ which could match Burgundy on quality and provenance but beat it on price, according to one premium Etna producer. Anne-Louise Mikkelsen, owner/winemaker at Tenuta di Aglaea, said that Nerello Mascalese – the principal red grape native to Etna – had a particular aptitude for expressing Etna’s volcanic terroir. This, combined with the age of the vines and the site variation represented by the region’s contrada (town districts and specially demarcated areas of agricultural land which represent unofficial crus) system, could see it become a favourite among wine enthusiasts priced out of wines like premier and grand cru Burgundy, she told db. “Right now [with Etna], you’re buying into wines with terroir, wines that are deriving from vines that are 50 to 80 years old; tell me where you get that elsewhere at this price – you don’t. And you’re talking about a grape, Nerello Mascalese, that actually manages to transmit the terroir it’s growing on. On-trade supplier Jascots recently took on two wines from Tenuta di Aglaea after its research into on-trade trends indicated a growing demand for wines from Etna. In January the drinks business reported on the findings of the Jascots on-trade insights survey, which included the emergence of ‘alternative classics’ as wines like Bordeaux and Burgundy became unaffordable. At the briefing, panel expert Jon Kleeman, head sommelier at Social Eating House, observed that a shift away from Burgundy, in particular, towards ‘alternative classics’ with a similar message of history, terroir and provenance was an “unavoidable” long-term on-trade trend. The wines of Etna also have the currency of being wines of volcanic origin – a loose category which continues to grow in popularity among sommeliers and consumers. In his recently published book, Volcanic Wines: Salt, Grit and Power, John Szabo MS said that the wines of Etna were “unlike any others on planet earth – and the world wants more”. Referring to what some see as an emerging ‘volcanic wine’ category, Mikkelsen said the soil in her vineyards – extremely fine, deep, porous volcanic ash with traces of sand – was “absolutely unique” and conferred a distinct minerality to her wines, as well as highlighting the unique character of Nerello Mascalese. “It’s important to understand what kind of grape is growing there,” she said. “Why I’m so fascinated with Nerello Mascalese in Etna is that it understands how to transmit that terroir. Planting another more blockbuster grape on a volcano, I don’t see the point, because to me, not that many grapes have the capability to really, really transmit the terroir they’re growing on. Nebbiolo has this, Sangiovese, Pinot Noir and Nerello Mascalese. “When I taste it, it’s ‘lava’. I cannot recognise it in any other wine I’ve tasted. This is the vine, a lucky combination of Nerello Mascalese in a soil that has a lot to say. Anne-Louise Mikkelsen first travelled to Etna in 2008 for the first Contrada dell’Etna tasting and “fell in love” with the wines and the region. 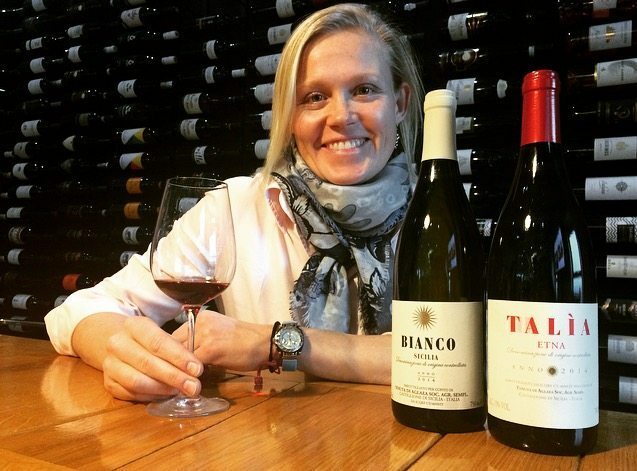 After several years making wine in other regions of Italy, predominantly Tuscany and Piedmont, the Denmark-born winemaker purchased her own vineyards on Etna in 2013. She now owns 1.8ha of uncertified organic vines in the Bocca d’Orzo (0.3ha) contrada in the zone of Randazzo, along with Passo Cannone (1ha) and Santo Spirito (0.5ha) in Passopisciaro. Mikkelsen’s Nerello Mascalese grows on alberello (bush) vines, while she makes one white from Carricante. Her vineyards are located at an altitude of 600-800m above sea level. Yields for both reds and whites are low – typically 0.75kg per vine. With production very limited, Mikkelsen has set her pricing at a “mid to high” premium point. Her Thalía Etna Rosso 2014 is priced at £15.49 to trade. The winemaker is convinced, however, that the price to value ratio is very favourable. The possibility of focusing in on specific sites reflecting the terroir of Etna’s contrade is certainly part of the long-term vision for Mikkelsen. While these are no longer official boundaries – top-level Etna wines tend to carry the name of their contrada on their labels. In 2015 and 2016, Mikkelsen vinified her Santo Spiritu parcel on its own. She is now working on setting up her own facility, which she aims to have ready for vinifying the 2017 vintage. This will give her much more flexibility and the chance to focus more on specific sites. “I believe there is such an interesting concept in trying to vinify each of these parcels on its own and trying to understand what they have to propose. Concluding, Mikkelsen said she believed the modern-day Etna wine story was only just beginning to be told. 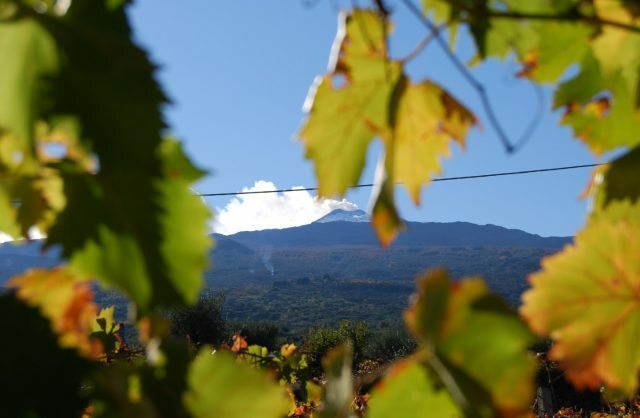 While wine has been produced in the region since Phoenician times (3,500 years or more), and Etna was a booming viticultural land up until the end of the 19th century, it dwelled in obscurity right up to the early 1990s, when Benanti spearheaded a modern Etna wine revolution. Now, Mikkelsen explained, production facilities were growing in number, meaning ever greater numbers of winemakers were able to produce terroir-driven Etna wines with their own personal stamp. Etna is on the rise and I don’t think we’ve reached even close to the top yet,” she said. “We have so much more to see from Etna from a production point of view. “What I do see is, as opposed to five or 10 years ago, it was very difficult to make a cantina (production facility), even a mini cantina.